When the surgery is closed to access an emergency doctor please call NHS 111 direct. The NHS 111 service is staffed by a team of fully trained advisers, supported by experienced nurses. They will ask you questions to assess your symptoms, then give you the healthcare advice you need or direct you straight away to the local service that can help you best. That could be A&E, an out-of-hours doctor, a walk-in centre or urgent care centre, a community nurse, an emergency dentist or a late-opening chemist. 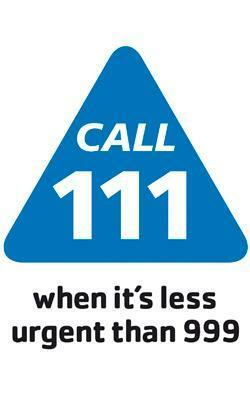 For immediate life-threatening emergencies, continue to call 999 .